Teeth grinding (otherwise known as bruxism) is considered a modern day civilisation disease, and occurs in a growing number of patients. The most common cause of teeth grinding (bruxism) is stress, but equally significant are bite disorders, missing teeth and other diseases of the oral cavity. It is a masticatory system dysfunction involving tightening and grinding of teeth during sleep and daytime. Symptoms usually reported by patients include non-specific symptoms of pain or discomfort in the teeth area, tingling or itching, pain in the temporomandibular joints, clicking in the joints while eating, and headache, sometimes strong enough to require pain medication. The visible symptoms of bruxism include cracked enamel and grated teeth, in extreme cases covering the entire crown of the tooth. How is teeth grinding (bruxism) diagnosed? How is it treated? The diagnostic treatment of grinding teeth (bruxism) involves several specialties and is tailored to the symptoms and severity of the disease. 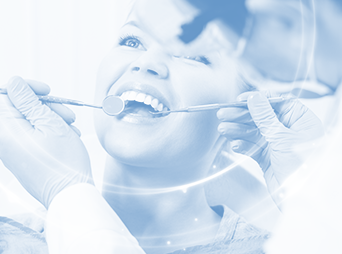 A patient who bruxes should report to a dentist, who will provide further specialist diagnostics and treatment. The problem of incorrect or incomplete dentition is treated by prosthodontists or orthodontists. Thanks to current technological progress and modern materials, teeth restorations and reconstruction of the anatomical shape of the teeth can have very aesthetic results. Also, orthodontic treatment, thanks to the minimally invasive procedures and improved aesthetics of fixed braces, is now more comfortable. Muscle irregularities are treated with muscle exercises performed by the patient at home. Here, the help of physiotherapists is invaluable. Occlusal splints, either standard or specially made for the patient, are often used in treatment and diagnostics. They protect teeth from further destruction and “turn off” the symptom of grinding and tightening of teeth. Only proper diagnosis and treatment can help stop the disease, and protect from severe consequences that may be caused by bruxism. 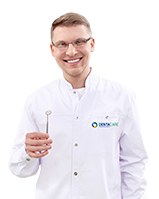 If you notice any worrying symptoms, or if you wish to check your teeth for this condition, we encourage you to book a dental consultation at DentaCare.